This sweet ring has been beadwoven with high quality Japanese seed beads in withe and clear crystal colors. I woven this ring by my hands strung and stitching one bead at a time. 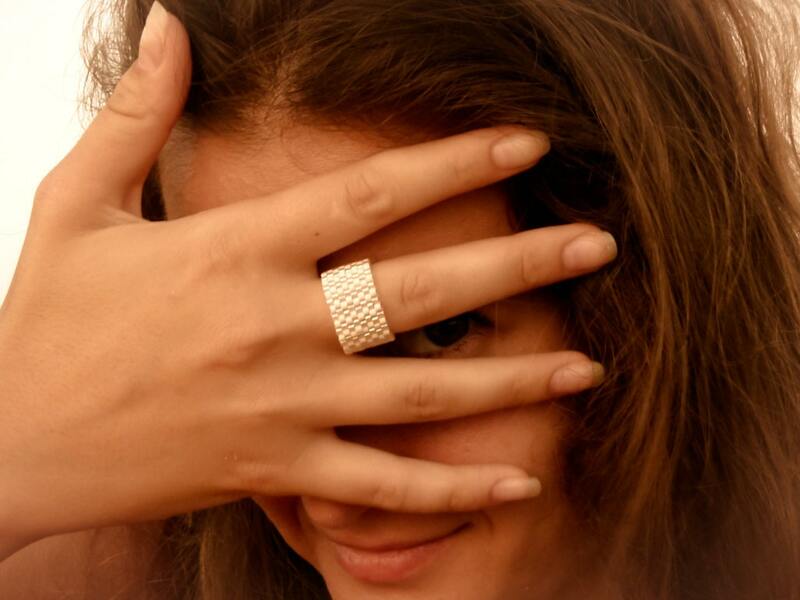 The band ring is very flexible and so comfortable on the finger. So sweet and lovely ring will be great Holiday gift for you or as thoughtful gift for someone special. I make this ring for order. In your purchase let me know size you would like.